Mindfulness is a way of staying present, both in our bodies and with our emotions. For those of us in the LGBTQ community, it can be helpful to have mindfulness strategies to use when things get overwhelming. 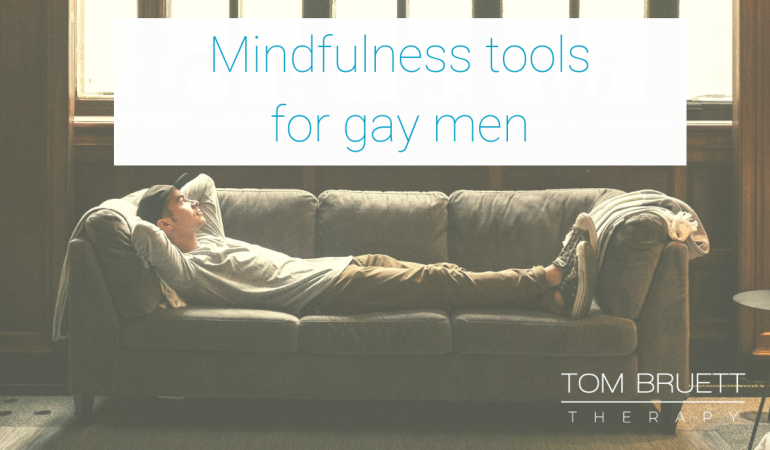 How can mindfulness be useful for gay men? 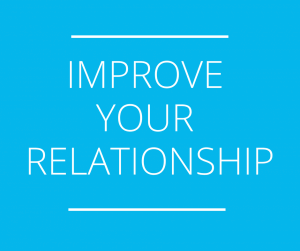 As gay men, we often do everything we can to avoid being present with our feelings and emotions. This could be because we had an upbringing full of toxic masculinity, our own internalized homophobia, or something entirely different. Avoiding certain feelings can lead us to find other less ideal coping skills like substance misuse, problematic eating, over exercising, out of control sexual behavior and a host of other unwanted symptoms. Luckily, there is something that can help! Mindfulness is “seeing things clearly”-according Dr. Shauna Shapiro, a prominent speaker and researcher in the field. In her TEDTalk, Dr. Shapiro emphasizes the point that “what you practice grows stronger.” In other words, if you’re spending your time focusing on how much you dislike your body or how stressed out you are, that is the part of your brain that will strengthen. A mindfulness practice can help you focus on strengthening more useful and less harmful neural pathways in your brain. There are a number of books, classes, exercises and apps that you can use to learn more about mindfulness. Full Catastrophe Living by Jon Kabat-Zinn includes a thorough overview of the science and evidence behind mindfulness and there are a number of step-by-step exercises to help you incorporate a practice into your everyday life. On a side note, if you’re more of an audiobook person, the recordings for Full Catastrophe Living are very calming and approachable. The Untethered Soul by Michael Singer is a useful book that helps you explore the inner space that exists inside each of us. It’s simple, yet profound at the same time. Radical Acceptance: Embracing Your Life With the Heart of a Buddha by Tara Brach is a beautiful and simple way to begin learning more about mindfulness. Brach is a psychotherapist in addition to a mindfulness teacher and she has a great podcast I recommend as well. Mindfulness-Based Stress Reduction (MBSR) is a course developed by Jon Kabat-Zinn that uses evidenced-based and structured classes to help teach mindfulness to reduce stress and improve health. If you do an online search you can find online classes that offer this and many health insurance companies will pay for this service to help treat anxiety, depression and stress. There are many other options for learning more about mindfulness. The San Francisco Zen Center, Spirit Rock and a number of other local organizations offer one day classes and workshops to help you learn more about developing a mindfulness practice. You can also experiment with yoga or walking meditations if you prefer something that will help you engage your body more in the process. Technology has also entered the field of mindfulness and there are many apps available now to help you learn more about this helpful self-care tool. I often recommend clients check out Headspace, which is an app that offers guided meditations and tutorials on how to begin your own relationship with mindfulness in a convenient and easy way. When you download the free app, you will have the option to take the 10-day mindfulness challenge at no cost. This is a series of ten 10 minute guided meditations that break down the process of mindfulness on a very user-friendly platform. Andy Puddicombe, one of the founders of Headspace, narrates all of the guided meditations. His speaking voice is very soothing and easy to get accustomed to hearing. There are a number of short animated clips throughout the 10 days that explain more about the process. Some of the best features are the reminders and the reward system that is worked into the interface of the app. Each day you’ll get a reminder to meditate and you’ll advance to the next level when you complete a session. Many of the music streaming services also offer guided meditations that you can use when you subscribe. Depending on your mood, you can find something to help with sleep, stress or depression. The public library is another great resource for gaining free access to some of the resources I’ve listed above. Breathing. Breath can have a powerful effect on lowering stress levels and promoting relaxation. There are a number of different exercises and if you do a quick online search you’ll find tons. 4+4=8. The way this breathing technique works is simple. You inhale deeply for a count of 4, hold your breath for a count of 4 and then exhale slowly for a count of 8. You repeat this sequence for a couple of minutes until you’re feeling more at ease and centered. Walking meditation. If you would rather include some exercise and movement in your meditation practice, try a 5-10 minute walk. Preferably somewhere out in nature. Turn your cell phone off and bring your attention to the physical act of walking. Notice the way your body is moving through the air. Visualize each foot as it touches the ground, heel, arch, and toe. Heal, arch, toe. Look around and take in your surroundings. Smell the air. Feel the wind on your face. If you notice your mind wandering to work or stress, gently bring your attention back to your five senses. Guided meditations. There are a number of fantastic apps and free guided meditations you can access online. If you are someone who has trouble quieting your mind, this can be a great introduction to mindfulness. Some of my favorite types of guided meditations include body scans, gratitude meditations and deep breathing exercises. The UCLA Mindful Awareness Research Center has a number of high quality, free meditations you can download from their website in English or Spanish. Above we’ve explored what mindfulness is and how it can be useful for us in the gay community. For an action step, pick one of the items listed above. Give it a try for the next 5 days. Starting a new habit can be tough. Put a reminder in your phone or a post-it on your mirror and give mindfulness a try. Good luck!